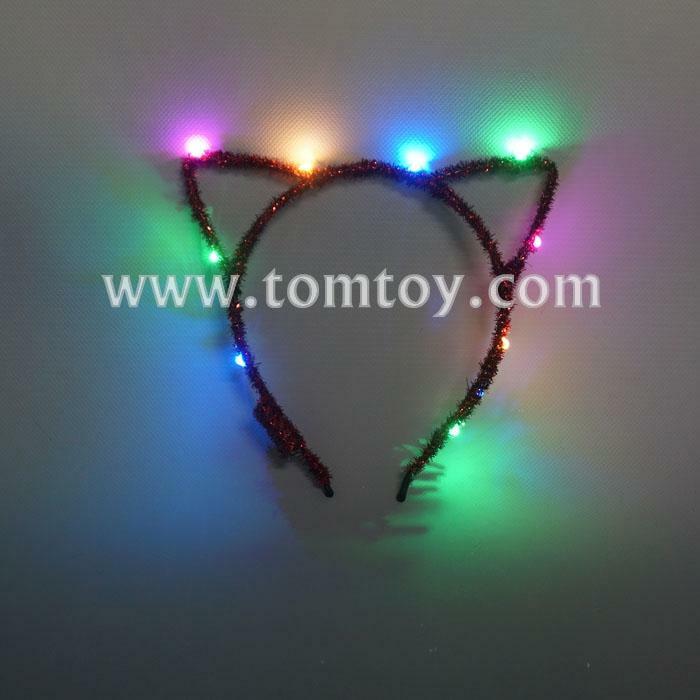 1.Each ear of this cat ear headband contain LED light bulbs(3 light modes:fast flash,slow flash,steady on). 2.These fluffy cat ears will light up any room with the brilliant lights. The energy-efficient LED bulbs will not get hot to the touch, so you don’t have to fear the headband burning your hair or scalp. 3.This headband is the perfect accessory to complete your cat costume for Halloween or themed parties. 4.The battery is 1pc CR2032,Irreplaceable. 5.Ten LEDs,accept custom led color.